Mark joined Berkey’s pastoral staff in February 2019. His primary responsibilities involve preaching, administration, and pastoral care. 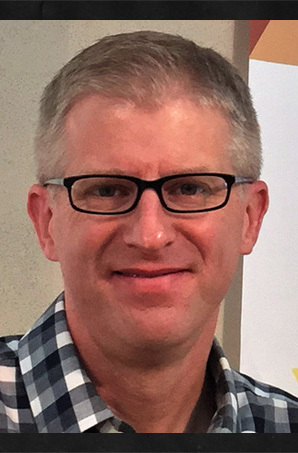 After graduating from Eastern Mennonite Seminary (Harrisonburg, Virginia), Mark served as pastor of Springdale Mennonite Church (Waynesboro, Virginia) from 2005 to 2012 and North Goshen Mennonite Church (Goshen, Indiana) from 2012 to 2018. From 1998 to 2002, Mark and his wife, Sarah, lived and worked in Mozambique with Mennonite Central Committee. A graduate of The University of Cincinnati College of Law, Mark previously worked as a staff attorney for the U.S. Department of Labor, Office of Administrative Law Judges. Mark and Sarah have three children, and Sarah works as a registered nurse for Goshen Health, Hospice Care.